If you have a small family or small apartment, a portable washing machine is a better option over a normal washer. 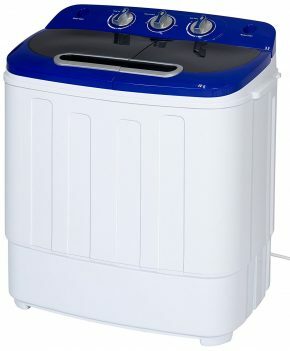 A portable washing machine is compact, and it will save you a huge chunk of money, water, detergent, and electricity. Most of the portable washers do not require a permanent water supply line because you have to pour water manually. 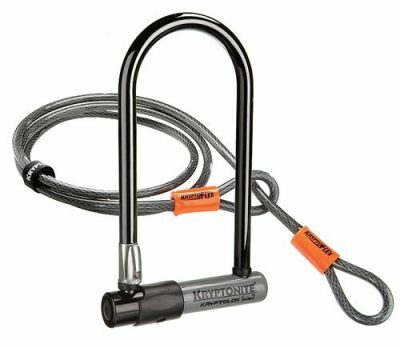 As a matter of fact, it is very lightweight and use to carry and some people take it with them when they go for camping and touring. 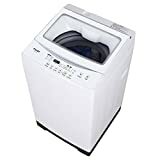 If you want to purchase a convenient and space-saving portable washing machine, you need to go through the list top 10 best portable washing machines in 2019. You can check out the features they have and buy any one of them as per your requirement. 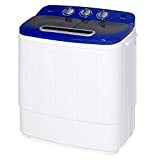 This is a relatively new launch, and it is an upgraded version of its predecessor which was also a good portable washing machine. It has a top-loading facility, and the washer and dryer are in the same tub. It provides you various controls like wash timer, spin timer, drain selector, and other useful settings. 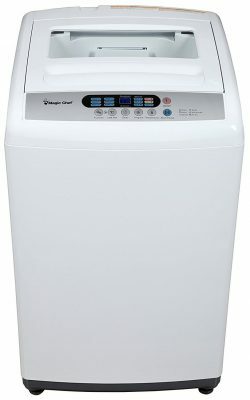 The capacity of the machine is 7.7 pounds for washer and 3.3 pounds for the spin dryer. The dimensions of the machine are 22.2’’ x 13.9’’ x 23.6’’ and it weighs around 26.65 pounds. It is suitable for all the different types of clothing. This machine is capable of washing 5 pounds of laundry, and it uses pressurized cleaning technology. You have hand-crank it manually to wash the laundry. There is no need of electricity, but it is as effective as the min I portable electrical washing machines. 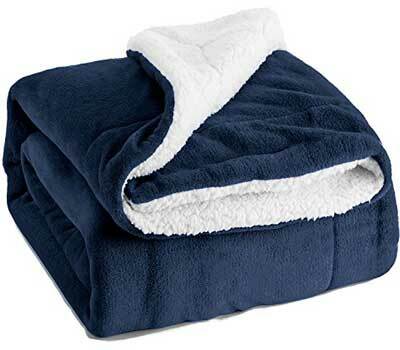 It can easily remove the deep stains of clothes, and you can wash delicate dresses without any complaint. It is very lightweight and portable to any place as it weighs only 5.5 pounds. 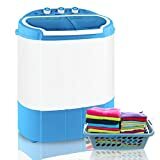 This is probably the best portable washing machine when you want to take it outside your house when you are going on vacation. 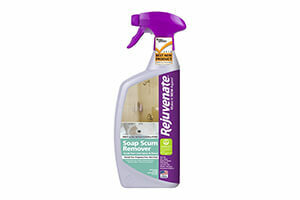 It also comes with 30-day money back guarantee if you do not find the product satisfying. The dimensions of the product are 17.5 x 16 x 18 inches. 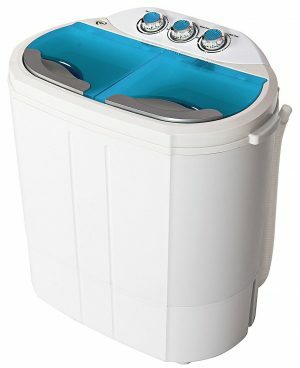 This twin tub washer has washing capacity of 6 pounds and spin capacity of 3.8 pounds. It is suitable for any type of cloth, and it has dual function design for which spin wash and spin dry are done simultaneously. The dimensions of the product are 22 x 15 x 24.5 inches, and it weighs 24.8 pounds only. The build material is durable plastic, and it is quite sturdy. 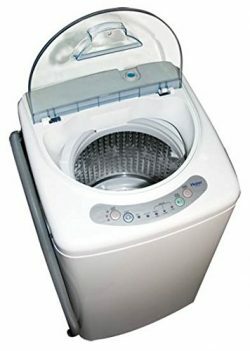 This is a fully automatic washing machine, and the tub is made up of stainless steel for better durability. There are various touch controls and LED indicators to signal different stages of operations. The design is quite modern, and the noise level is very low. There are 6 different wash cycles available such as normal, quick, jeans, cotton, anti-wrinkle, and air drying. There is inlet hose connection if you need to connect it to the faucet. The total capacity is 11 pounds, and the dimensions are 21 inches x 21.5 inches x 37 inches. This portable washing machine from Magic Chef has 2.6 cubic foot capacity. There is stainless steel material in the inner lining of the drum, and it is a front-loading machine. It comes with adjustable timer control and heating element. 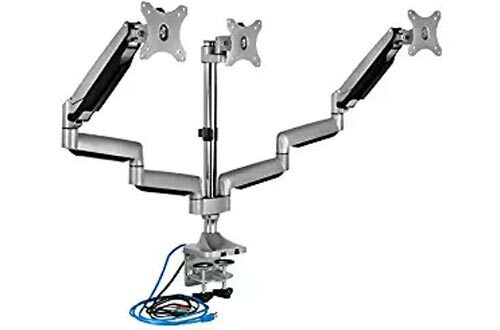 The best part is you can mount it on the wall or place it on any table. The kit for wall mounting comes with the product. It is highly efficient and produces a softening effect of dresses which is great. But it is one of the expensive portable washing machines on the list. The dimensions are 17.1 x 23.6 x 25.6 inches, and the weight is 48.4 pounds. 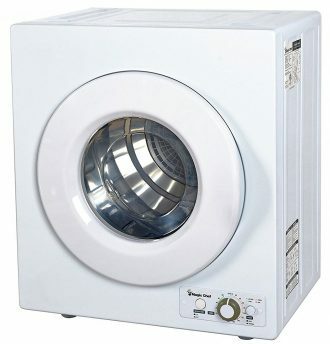 Giantex is a reputable name in electronic goods especially washing machines. 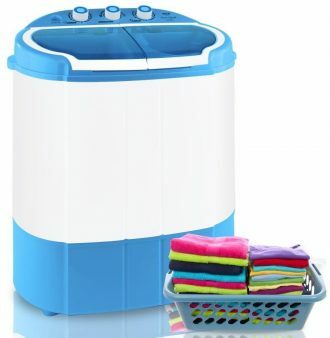 This product has 8 pounds of capacity for both washing and drying. There are multiple functions available for washing different clothes with different criteria. It also has three different water levels, and the dimensions are 16.9″x16.9″x29.5. 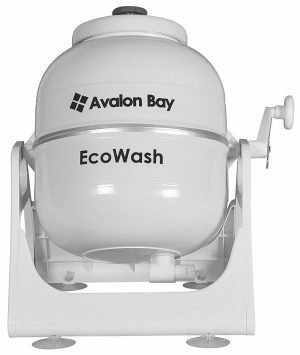 It is a relatively lightweight full automatic washer with the weight of 37.4 pounds. 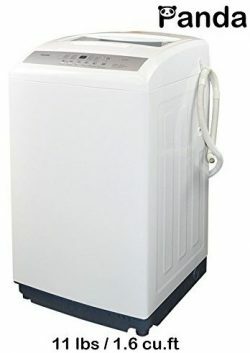 This portable washing machine comes with electronic control and Led display and hence, it can be considered to be very modern. Its inner tube is made up of stainless steel for longer durability. There are 6 water level selections as per the load of the clothes to wash and hence, it is water efficient. 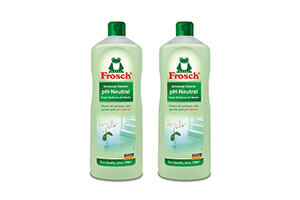 Furthermore, there are 6 programs to choose from including air dry and tube clean feature. The dimensions of the product are 20.7 x 20.3 x 37 inches, and the weight is 68.3 pounds. 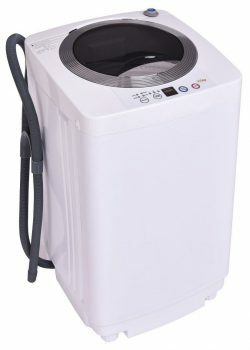 This is a 1-cubic foot portable washing machine capable of taking 6 pounds of weight. There are 3 different water levels and 3 wash cycles that you can control with electronic controls. There are LED indicators to indicate various stages of washing. The rolling casters make it easy to move it from one room to another effortlessly. The dimensions of the product are 36 x 23.2 x 23.2 inches, and it weighs 43 pounds. Haier is a quality brand in electronic goods and this product is one of their bestsellers. 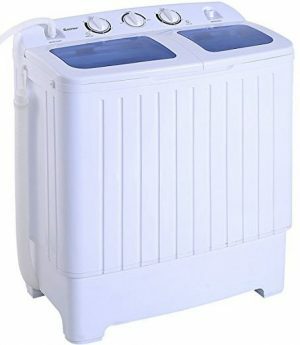 This is a great portable washing machine with twin tub system. One tub is for washing and the other for spinning. The capacity of washing tub is 8 pounds while that of the spin tub is 5 pounds. 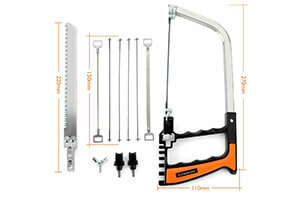 The build material is durable plastic which makes it lightweight and easy to carry. It takes 15 minutes for washing and 5 minutes for spinning. The motor used has 1300RPM, and the dimensions of the machine are 23” X 13.5” X 26” and it weighs around 23.9 pounds. 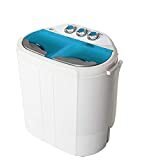 This is the bestselling portable washing machine on Amazon. One of the biggest advantages over others is its twin tub facility – one is for washing, and the other is for spinning. The washer tub capacity is 11 pounds, and the spinner tub has 6.6 pounds of capacity. The washing time is 15 minutes and the spin time is 5 minutes. After spinning the washed clothes, you can put it up outside for an hour for complete drying. The filters on the side of the washing tub make it easy for users to clean the interior effortlessly. The dimensions are 24.8″ X 14″ X 28.35″. 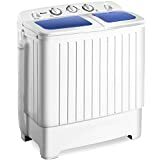 Choose any portable washing machines from the above list of top 10 best portable washing machines in 2019, and you are sure to get value for your money.